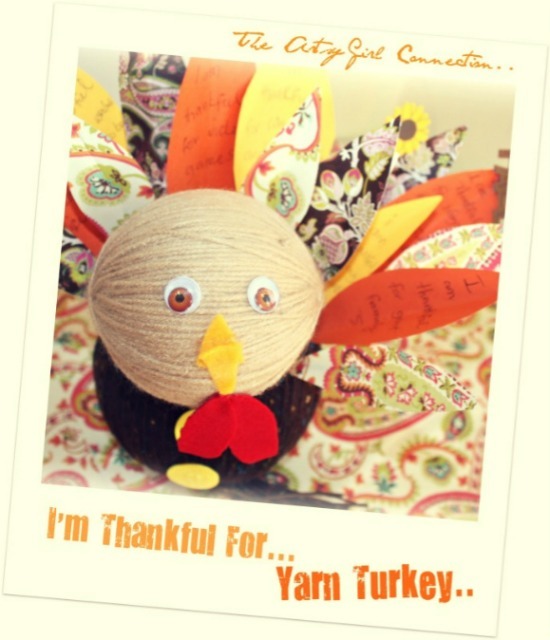 on my blog and decided to share something in regards to that with you today..
season of giving thanks all around this month.."
Grab the kids & have some fun!! keep the bottom flat to enable your turkey to stand flat at the end}. Tie a knot on the bottom to secure it into place tightly. 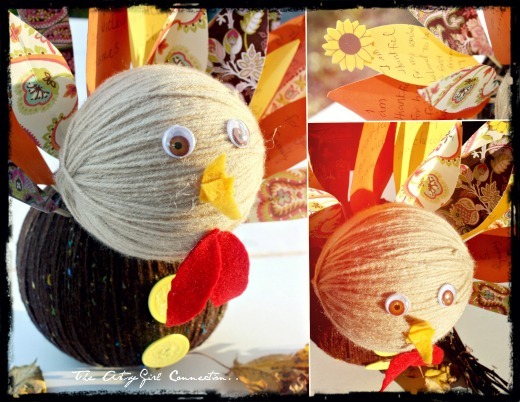 place and both yarn ball's attached, it's time to give your turkey a face. 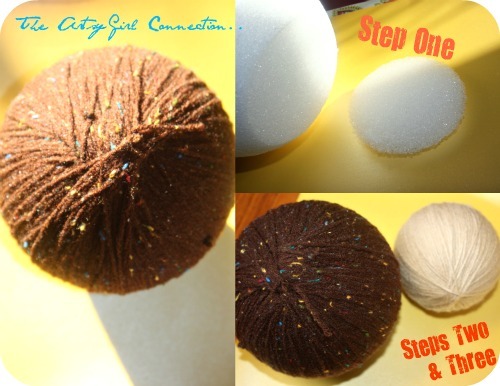 Glue on your eyes where you want to the light brown yarn ball. a fancy little look and a touch of color to the brown. Turned out really cute. The kids had a wonderful time writing out their notes of thanks!! 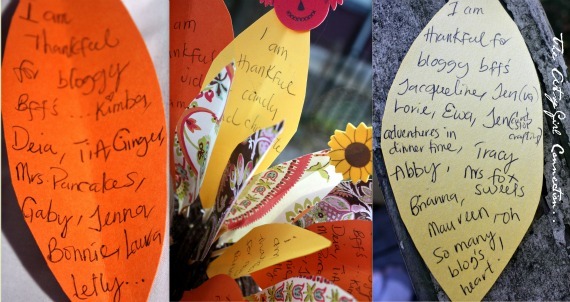 your lovely notes of thanks all throughout the season of Thanksgiving.. 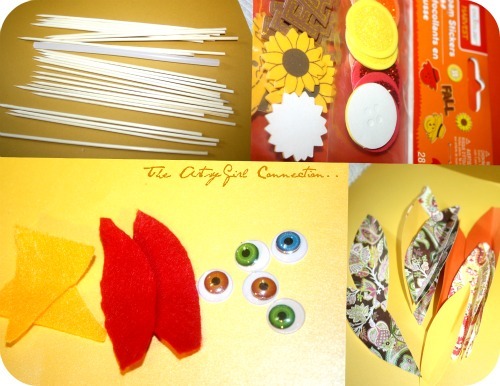 I even added one for a few fun bloggy friends around.. Did you notice..? Take a peak.. : )) YES - I'm thankful for YOU!! 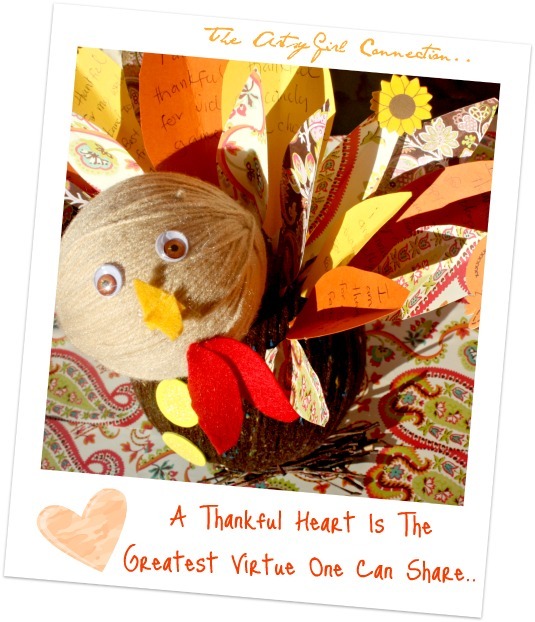 I am sharing my thankful turkey with my friends and family this thanksgiving. the month.. Stop in, grab a button, spread the word.. I Am VERY Thankful For YOU.. Thank You~!